Traveling around Europe can be a breeze with the many options of planes, trains, metros, taxis, uber, and automobiles. However, many of our favorite towns that we discovered were reachable only by car when taxi wasn’t an economical option. Despite what many people may think, driving around Europe is quite similar to the United States with universal symbols that are easily translated. Knowing just a few basic rules and opting to drive to your destination will open up a whole new world of undiscovered Europe! 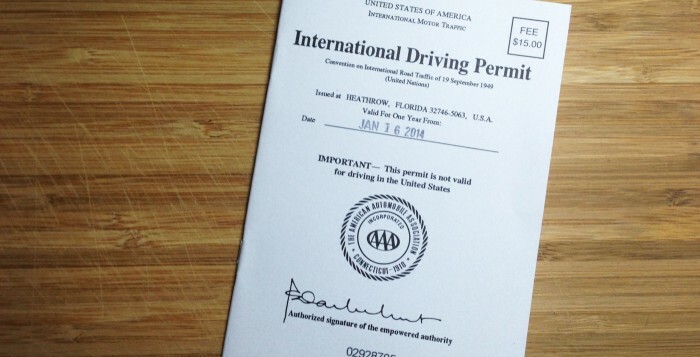 Some Countries require an international driver’s Permit (IDP). We once had a difficult time renting a car in Belgium because our US drivers licenses did not specify how long we had been driving. An IDP would have been a solution to our dilemma. Austria, Bosnia-Herzegovina, Croatia, Greece, Hungary, Italy, Poland, Romania, Slovenia, and Spain all require foreigners to drive with an IDP. It’s best to get one at your local American Automobile Association office prior to leaving for your trip for the cost of about $15 and two passport sized photos. If time is on your side then you can also get your IDP via mail. Chances are, you’ll never be asked for it (unless renting a motorcycle or moped), but don’t risk your vacation plans by not getting one. Keep in mind that many companies will not rent to anyone under 21 years old; however, much like in the US, travelers over the age of 25 should have no problem. Alternatively, if you’re over the age of 75, check the country driving age ceiling to ensure a smooth rental process. The best documents to bring to Europe when planning to drive a vehicle would be your IDP, your US driver’s license, and your passport…keeping all documents easily accessible. Car rental locations are at most airports and train stations. Hertz, Avis, National and Europe’s largest car rental company, Europcar are widely available. Before committing to driving in Europe, be sure that you can drive a manual/ stick-shift. Automatic cars are few and far between so it should not be expected that you will be able to rent one on the spot. Contact your rental company well in advance so that they can make arrangements to have one available if a stick-shift is not an option but expect to pay a premium. Upon checkout, verify the type of gas you should purchase as many cars are diesel fueled. Putting in the wrong fuel can damage the car and insurance does not typically pay for this costly mistake. Also, keep your eye on your gas light. Fuel stations can be sparse depending on where you are driving. Running out of gas on the side of a remote road will quickly dampen a vacation. When it comes to car insurance, check with your credit card company to see if they provide renters insurance…surprisingly, renting a car with many credit cards will automatically buy your car insurance. Opting for the rental company’s insurance will void the coverage provided by your credit card company. Read the fine print and understand your deductible before driving off the lot. If you need a car for longer than 3 weeks, consider leasing. Many automakers such as Peugeot, Renault, and Citroën offer cheaper daily rates with unlimited mileage. Plan to arrange the lease several weeks prior to your departure. Factor in your luggage when picking out your vehicle. A Ford Focus or Volkswagon Golf offer enough space for two people and their luggage while a family of four may opt for a larger wagon such as the Opel Insignia. Comfort over Cute or be sorry! As the French countryside provides many driving opportunities, it is important to know that all cars require a breathalyzer which typically comes with rental cars if rented in France. If you rent outside of France with plans to drive through the country, inquire if one can be provided to you. It would also be wise to keep all driving documentation together within easy reach in the event you need it. When purchasing vignettes (explained below), you may need to show the highway representative your documentation. Alternatively, if you are pulled over, a police officer will likely ask for your ID (passport). MOST European countries drive on the right side of the road. There are seven countries that drive on the left side of the road with the driver’s seat being on the right side of the car, where American’s typically place their passenger seat. The UK, Ireland, Isle of Man, Guernsey, Jersey, Malta and Cyprus all drive on the left side of the road; however, none share a border with a country that drives on the right side of the road so you’ll never accidentally take a detour through these countries. I would recommend only drivers who are familiar and comfortable with European road signs to attempt driving in these countries. First, get to know or carry a small cheat sheet for road signs. Most are intuitive and stop signs are universal. The most common signs you will see are “No Entry,” “No Parking,” “Parking,” “Speed Limit,” and “Expressway” signs. AutoEurope offers a more comprehensive listing of road that you can print off for ease of reference. In most states, it is illegal to drive while being on the phone without a hands-free device. European police have a zero tolerance policy and playing dumb won’t get you out of an on-the-spot fine. Keep kiddos in the back seat. Rules are varying across countries so the best practice would be to keep your kids under 18 in the back seat and keep kids under the age of 3 in a car seat. Booster seats may be required for older children shorter than 4’5’’ as well. A common universal courtesy (not commonly used in the US) is that of the left passing lane being used only for passing. Drivers should stick to the center or right hand lane and only pass on the left. Technically, you could receive a fine for driving continuously in the left lane; however, I have never seen anyone ticketed for this. You may notice the lack of police patrol on the roadways and expressways; this is because they have cameras set up periodically along the roadways monitoring speed. We found that going with the flow of traffic will help eliminate those surprise tickets. Other monitoring methods capture the time it takes a vehicle to pass through a tunnel. If you arrive at the end of the tunnel quicker than the speed limit would allow, you will receive a ticket in the mail. Your rental company will contact you for payment and if you do not pay, your passport could be flagged so don’t try to evade the law. Many countries require that you use your headlights in both the daytime and night time. It is best to get in the habit of keeping them turned on when driving. Some cities (e.g. Berlin) have stringent low emission standards for vehicles to enter. Inquire with your rental car company if any of your planned cities are one of them. In many cases, you can pay a small fee to purchase a permit to enter. You can also park at public lots outside of the city and commute in. You can also research these locations on the US State Department’s travel website (search for your country in the “Learn about your destination” box, then click “Travel and Transportation”). If you want to pull over to review your directions or are having car trouble, make sure you do so in designated areas or exit the expressway completely. You could receive a fine for pulling over outside of these designated areas. Don’t drink and drive. Period. Blood-alcohol content limits across Europe are lower than in the US and are punishable with steep fines or imprisonment. Places like Russia, Slovakia and the Czech Republic have a limit of ZERO. Don’t blow your vacation by making stupid choices. You may not know it yet, but roundabouts are a glorious thing. They help promote the flow of traffic and eliminate traffic jams at red lights. Stick to the outside lane if you’re nervous but be cautious of drivers entering the roundabout at other entrance points. If you get flustered, drive around in a circle again until you’re comfortable exiting. Nobody will know! 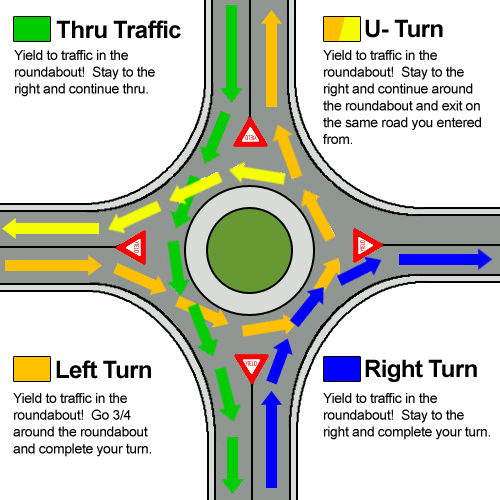 The golden rule is that drivers in the roundabout have the right of way so yield to oncoming traffic when entering the roundabout and nobody gets hurt. Look closely, it’s not as complicated as it initially seems! Most highways or expressways are free of charge, like Germany’s famous autobahn. 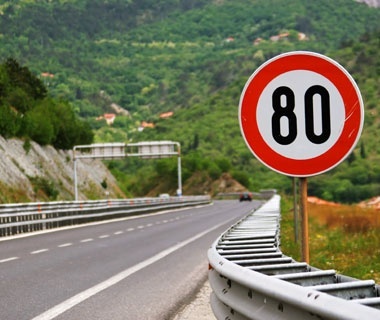 However, many southern European countries, including France, implement toll booths at the rate of approximately $0.12 cent per mile or about $7 per hour. Most accept credit card. Look for the credit card symbol above the booth lane. Other countries, such as Switzerland don’t have toll booths but rather have one booth set up upon entrance into the country. They charge a flat fee (about $45) for a window decal, called a vignette, that allows you to drive anywhere in Switzerland for up to a year. Other countries, such as Austria, Bulgaria, Czech Republic, Hungary, Romania, Slovakia, and Slovenia charge a short term (about 7-10 days) fee for about $10-$20. Fines are hefty if you’re caught without displaying your decal. One of the biggest surprises to me while driving in Belgium was that not all intersections had a stop sign or a red light. Go through these cautiously and yield TO THE RIGHT just as if there were a stop sign present. These are typically only seen in neighborhood areas or small towns. Just be aware that cars are not required to stop or slow down in these unmarked intersections. In some countries like Italy, red lights are considered discretionary. Yield at intersections and be aware that if you’re not going on green, someone else will be going on red. Speaking of red lights, do not turn right on red. In Europe, it is considered the same as running a red light. So put on your patience pants and just wait it out. At the scene of the accident, ONLY fill out the European Accident Report. It’s a standard form and does not assign blame. You can find the forms in the glove department. Submit the form to your rental agency as soon as possible. IF for some reason you do not have access to the European Accident Form, file a police report so that you’re not held responsible for all damages. Now relax and don’t let it ruin your trip. If you have a portable GPS and can download European maps, bring it. You can also rent portable GPSs through your rental car company but it won’t come cheaply. Or, if you can download driving routes on your phone for use when offline, that may be a viable option. ViaMichelin is also a great route planner that estimates travel costs to help with your planning. Unless you would like to get lost, I don’t advise “winging it,” as it will likely lead to many tears of frustration. Don’t let driving in Europe intimidate you. It’s quite intuitive and paying a little extra attention and learning some of the common street signs will allow you a safe and enjoyable travel experience. Opting to steer your travel plans on your own will open up opportunities to truly experience the Tuscan countryside, the lavender fields in France or tulip fields in The Netherlands or the hillsides of Switzerland. This entry was posted in Driving in Europe, Travel and tagged avis, car rental, driving, driving in europe, europcoar, Europe, hertz, idp, international driving permit, national, road signs, roundabouts, tolls, travel, vignettes. Bookmark the permalink.